Excellent, great stuff, especially when we get a thread through to conclusion and feedback. Is the tap flowing well ? No matter how good the hose, if the tap or tap filter are clogged then the flow will be insufficient. If you keep bike in 3rd and hold WOT do you get the same symptoms after a period ? Topic: Pros and cons of a 22 tooth primary on a kitted P125? Re: Pros and cons of a 22 tooth primary on a kitted P125? 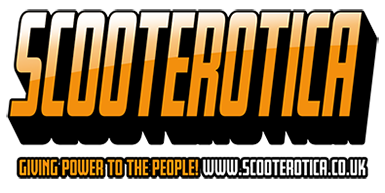 I can get the scooter rider to autograph it for you if you want? I think he charges £10 for signed pictures but it’s £20 for canvas cos he has to use a special pen.